The East Durham Heritage Group are pleased to announce that all necessary funds £24,000 have now been pledged. Thanks must go to Durham County Council Area Action Partnership, five County Councillors representing Seaham Wards have pledged £14,000 and County Durham Community Foundation in partnership with REG Windpower South Sharpley Community Benefits Fund have pledged an Enabling Grant of £3,00o. 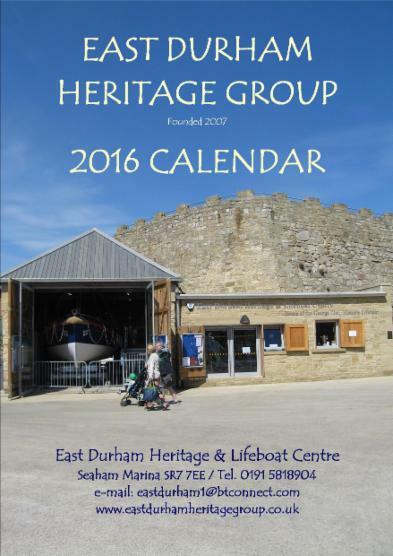 The remainder of the funds have been allocated from East Durham Heritage Group reserves. Renowned local artist and sculpture Ray Lonsdale will produce a fitting memorial to all those brave souls who risked and gave their lives while serving at RNLI Seaham Station. It is hoped to unveil the memorial before the end of 2016, please visit this site for regular updates and photographs of progress. 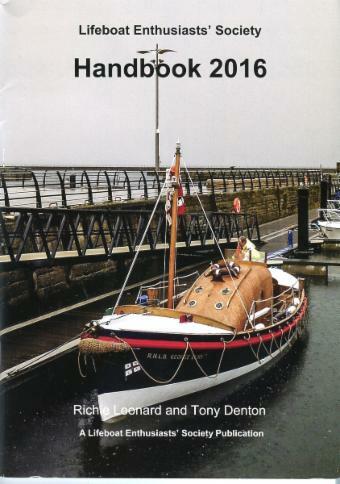 8th of March to families of the crew and fishermen, project supporters and members of the East Durham Heritage Group tells the story of the disaster and subsequent restoration of Seaham's lifeboat. It is hoped to make it available to order via this website in other formats and Paypal at a future date. The East Durham Heritage Group are pleased to announce that they have been granted planning approval by Durham County Council to undertake two exciting projects that will enhance both the Seaham Harbour Marina and provide the group with much needed office facilities. The Memorial, to those who served at RNLI Seaham lifeboat station between its opening in 1870 and its closing in1979 will be in the form of an RNLI Coxswain at the wheel of his lifeboat. 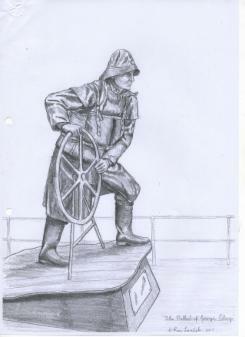 The local artist Ray Lonsdale has been commissioned to create the work. Members of the Seaham cocmmunity are well aware of his work as he created the much loved'Tommy' that takes pride of place adjacent to the war memorial on Terrace Green. Seaham lifeboat station was called upon on 130 ocassions during its 109 years and saved 569 souls and 1 dog. The cost of the work will be in excess of £25,000 of which £5000 plus planning application fees will be paid by the East Durham Heritage Group. Additional funding is currently being sort from various public bodies but any donations from the community will be thankfully accepted. It is hoped to raise the necessary funds and complete the Memorial during 2016. When coal and other cargo was shipped from the North Dock it was essential that it was leveled or 'trimmed' such that the vessel was safe to put to sea, having cargo in the wrong position could endanger the vessel and the crew. The Trimmers were provided with shelter between work in a small building directly behind the lifeboat house but with the advent of mechanised means of loading cargo the Trimmers role became redundant and their hut fell into decay, it was finally demolished as part of the restoration of the Lifeboat house and Fisherman's cabin that now form the East Durham Heritage & Lifeboat Centre. Since opening the Heritage Centre in early May 2013 it has become apparent to the group that office and more storage space is much needed to enable the group to continue to develope and expand its work of preserving information relating to the heritage of East Durham for the benefit of the community. While it is not known when he eventual rebuilding will begin, it will be after completion of RNLI Memorial, the disabled access to the boathouse will remain and be incorporated into the design of the building. During the build any interruption to access will be kept to a minimum. 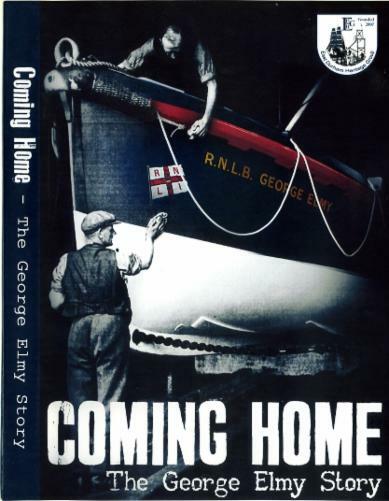 "Coming Home the George Elmy Story"